After stirring up loads of controversy, Hearthstone’s much-maligned “Quest Rogue” deck is finally getting nerfed. Instead of triggering the quest by playing four minions with the same name, now players will have to find a way to summon five, which might seem like a small change but is actually a significantly harder task. Quest Rogue is a deck that gives every minion a 5 health / 5 attack stat line when the player summons four minions with the same name. Since most minions in the deck can be summoned at a very low mana cost, the quest is one of the strongest in the game, and is practically unbeatable unless it’s up against a deck that specifically counters it. Apparently, in Blizzard’s eyes, the card was so strong it warranted some tweaks. Today’s changes will make turn-three quest finishes near impossible to pull off, meaning that Quest Rogues will be weaker against aggro decks, but still potent against late-game focused decks that spend a lot of time stalling. This nerf pattern will look familiar to anyone who’s been following Hearthstone for more than a few months. Back in February, when Midrange Shamans and Pirate Warriors smashed almost everything else in the metagame, Blizzard stepped in and nerfed two cards that were key to those decks: Small-time Buccaneer and Spirit Claws. While the nerfs weren’t so intense that they made those decks irrelevant, they tweaked the game just enough to let other decks like Renolock and Jade Druid back into the mix. It’s hard to know whether the changes to Quest Rogue will have a significant impact on the metagame, because right now, the highest tiers of Hearthstone play are already much more varied than they were back in February. While the Quest Rogue will likely rotate out of popularity, it’s hard to say whether that’ll affect the rest of the tier list ecosystem. So why bother making the changes? Comparing February’s nerfs to today’s, the one thing that they both have in common is that they’re both set for release about a month before the launch of a new expansion. 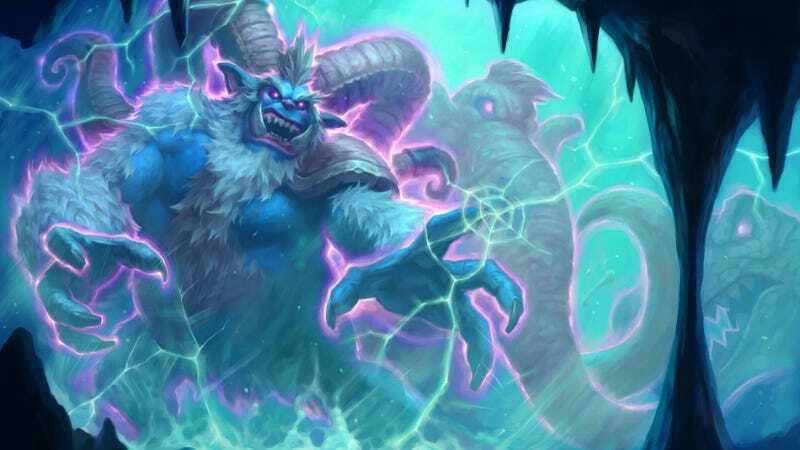 With Blizzard already dropping hints about an upcoming set of cards, the move is probably more of an attempt to prep for the next set than it is to shake things up in today’s competitive scene. If Blizzard wants to release powerful new cards in the next set, it probably doesn’t want boring, static Quest Rogue decklists running amok and deflating their appeal. This issue actually reared its ugly head earlier this month, when Cong “Strifecro” Shu reached top 20 in Hearthstone’s Wild mode using a fully-standard Quest Rogue decklist, which seems broken as hell when you consider that Wild players can use cards from every expansion ever released. If you’ve got your own Quest Rogue deck and are freaking out about the change, don’t sweat it too much—as a consolation prize, once the nerf is live, you’ll be able to disenchant the deck’s defining card, The Caverns Below, for a full 1600 dust. Maybe hold onto it though, because with a new expansion coming out soon, who knows? The deck might get a card that brings it back to its former glory.